Just yesterday it was reported that Kapil Sharma was under too much stress and that became an impediment for him to arrive during the shoot of 'Jab Harry Met Sejal' promotions along with Shah Rukh Khan and Anushka Sharma. It was partly correct and here’s the truth. 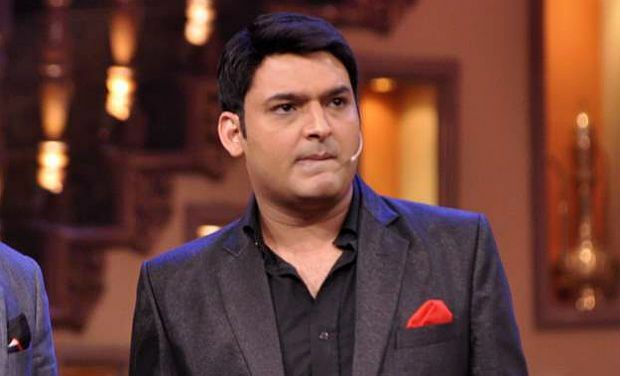 It has now been confirmed that Kapil Sharma had fainted backstage of his show and was soon rushed to a hospital. According to a report by DNA, it can be asserted- "We don’t know what happened exactly, but Kapil fainted and was rushed to a hospital. And we were told it was due to stress." According to the Times of India, Kiku Sharda, Kapil’s co-star who plays Bacha Yadav in 'The Kapil Sharma Show', can be quoted saying- "Yes, Shah Rukh Khan was shooting in the Film City vicinity for some promo shoot last night. By the time he came on the sets, Kapil had already left for a checkup. He was feeling uneasy and the doctors advised him to get admitted. Kapil is still in the hospital and his family is with him. Now our regular shooting is on 11th and 13th July, but I don't know which film's star cast will be visiting our sets." A couple of weeks ago as well Kapil Sharma was admitted to a hospital due to his sugar levels. We wonder what has made Kapil Sharma sick. Is it his midair tiff with Sunil Grover (Dr Mashoor Gulati) and the pressure to keep the TRPs of 'The Kapil Sharma Show' ticking, really the reasons of his illness these days? Or is it his busy schedule where he is shooting his show and is involved in his upcoming film 'Firangi', the cause of his bad health? Whatever it is, we wish he convalesce soon as 'The Kapil Sharma Show' is a household name and the reason of millions of laughs across India.